Theiss students Kinley and Jaxon Coleman donate students for students at Grace England Early Childhood and Pre-K Center. For Theiss Elementary students Kinley and Jaxon Coleman, Christmas is a time to spread happiness and cheer to those around them and that’s just what they are doing for students at Grace England Early Childhood and Pre-K Center. For the past few years, these siblings have been using handmade crafts to raise money for those in need around the holidays. The brother and sister duo have made pot holders, customized books. 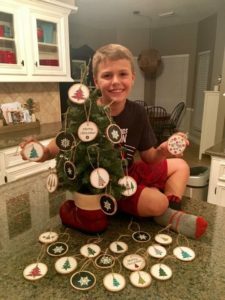 This year, the pair created ornaments that they listed for sale on Facebook with the help of their mom. “It’s awesome to know that money we raised will help others,” Kinley said. 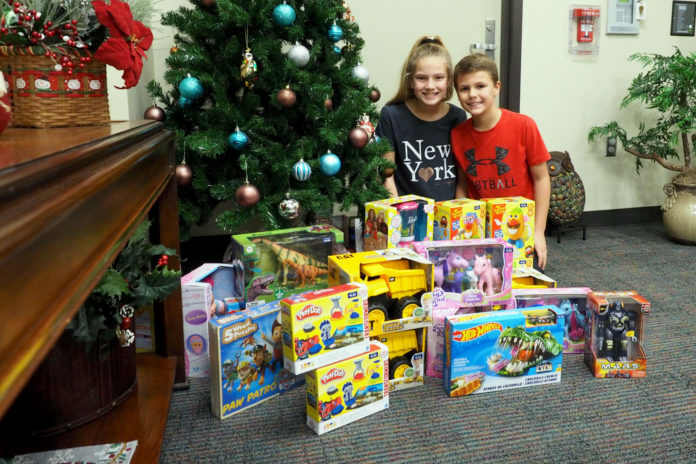 With the money raised, Kinley and Jaxon were able to fill their own carts with toys they think other students will enjoy. “These projects are really fun and I’m glad that I can help others, especially around Christmas time,” Jaxon said. Way to go, Kinley and Jaxon! We are proud of you!